What is the Process for Filing for Workers' Compensation? Anyone injured on the job or suffering from a work related illness may be eligible for workers’ compensation, but the first step in potentially receiving benefits is filing a claim for workers’ comp. The process for filing a claim can vary from one state to the next and knowing the process in your home state is crucial to receiving the benefits to which you’re entitled. Failure to follow the appropriate steps in filing a claim can result in your denial. This is true even if the injury or illness from which you suffer would have otherwise been qualified under workers’ comp. 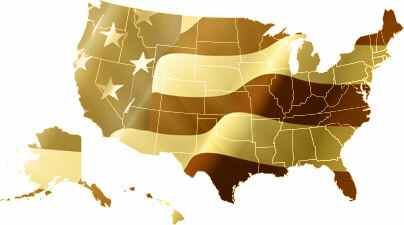 Workers’ compensation insurance is required by law in all fifty states. Therefore, your employer carries a workers’ comp insurance plan under which you may be eligible for benefits if you’ve suffered an on the job injury or contracted a work related illness. Workers’ comp coverage varies from one state to the next and from industry to industry. Though there are a few occupations in which federal workers’ compensation laws apply, for most industries, workers’ compensation is governed by state laws and regulations. Those state level statutes determine the filing process a workers’ comp claim. Although variations in the filing process do exist, the same basic steps apply for how to file a workers’ compensation claim regardless of where you may work. The when, where and how of filing are essentially the same, though in order to ensure you do not miss any crucial steps that may be different in your home state, you may want to seek the advice of a worker’ comp lawyer. Ideally, your workers’ comp claim would be filed immediately following your injury or recognition that you’re suffering from an illness related to your job. If your injury results from a specific accident at work, your employer will often be aware of it and may even have to call an ambulance in order to get you the medical attention you need. Under these kinds of circumstances such as these, you obviously don’t have to provide notice to your employer of your injury; however, not all work related injuries are this obvious. In many cases, your injury may not be so apparent, in which case, you’ll need to notify your supervisor who will then direct you to human resources for filing your claim and for getting the arrangements made to get you medical attention. If you’re away from work when you realize medical attention is needed, then you’ll need to notify the physician or the nursing staff at your doctor’s office or the hospital that you’re being seen for an injury or illness resulting from an incident at work. They will complete the appropriate forms and provide you copies to pass on to your employer. The forms should be submitted to the human resources department at your company and they will likely have you complete additional forms for filing your workers’ comp claim and for completing an investigation into the incident or accident responsible for your condition. Notifying your employer that you’ve suffered an injury on the job or believe you have a work related illness is a crucial step required by all workers’ compensation laws — both state and federal. Every law defines the time frame for notification though some are more clear than others, giving you a specific number of days to notify your employer. Other state laws simply say notice should be provided as soon as possible or practical. It’s in your best interest to give notice as soon after an injury occurs as you can. The more clear the connection between the injury and the incident on your job which cause it, the more likely you are to qualify for workers’ comp. Providing notice to your employer is the first step in initiating the workers’ comp claims process. After your employer is aware of the issue, they will have you complete claim forms which will then be forwarded on to the workers’ compensation insurance provider. In some states, you must also notify the appropriate state agency that you’re filing a workers’ compensation claim. If this is the case in your home state, your employer or a representative from human resources should assist you in giving that notice. After you’ve notified your employer and filed the initial claim paperwork, your employer will conduct an incident/accident investigation. The workers’ comp insurance provider will also investigate the claim and you may be required to provide additional information to them. Responding in a timely manner and as thoroughly as possible to all request for additional information is crucial to receiving workers’ comp. You may also need to go to arranged doctor’s appointments and have different tests completed as part of the investigation. Even if you’ve already sought medical treatment on your own, the insurance carrier may require an independent assessment of your condition from another doctor. You’ll receive a great deal of paperwork associated with a workers’ comp claim and the process can be confusing. Seeking the help of a workers compensation lawyer familiar with the workers’ comp claims process in your home state can make everything easier to understand and may increase your chances of receiving workers’ comp benefits as well.